Brogan is an accomplished advisor to clients in acquisitions, divestitures, joint ventures, complex commercial transactions, restructurings and general corporate matters, especially in the energy industry. For six years Brogan worked in-house for Aquila, a large international energy company. As the company rapidly expanded, Brogan handled numerous acquisition transactions involving gas and electric utility companies, power plants, gas midstream assets, merchant energy businesses, and telecom businesses in the U.S. and abroad. Then, as Aquila’s fortunes waned following Enron’s bankruptcy, Brogan helped the company avoid insolvency by selling its assets and unwinding many complex relationships. Since returning to the firm in 2006, Brogan has handled major transactions, capital projects, and restructurings for energy companies and major commercial and industrial clients. His focus on the energy industry continues unabated, with extensive work on power purchase agreements, co-ownership arrangements for power plants and other energy assets, and development and transactional work involving utility businesses, wind and solar generation facilities, electric transmission projects, and midstream assets (including gathering, storage, and pipeline facilities). Represented Crestwood Equity Partners (NYSE: CEQP) in the formation of a $2 billion, 50/50 joint venture for the ownership of Crestwood’s natural gas pipeline and storage businesses in New York and Pennsylvania, resulting in $1 million cash proceeds to Crestwood. Represented Black Hills Corporation (NYSE: BKH) in the sale of a 49.9% interest in a 200 MW gas-fired power plant in Pueblo, Colorado for $215 million, including joint venture and operating agreements. Represented CorEnergy Infrastructure Trust (NYSE: CORR) in the purchase of a subsea, midstream pipeline system and related onshore facilities in Louisiana for $245 million, including related leaseback transaction. Represented NV Energy in landmark project with Apple Inc. for the co-development of a 20 MW solar facility in Nevada. 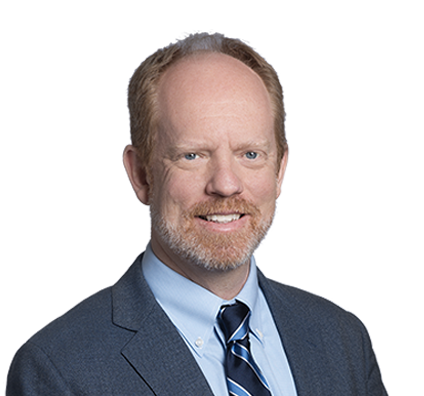 In addition to transactional and development work, Brogan leverages his extensive project management experience to manage complex internal restructurings on behalf of his clients. Brogan's experience includes major international transactions and coordinating large multi-national deal teams. He also works with companies on procurement and supply contracts, including by developing forms and training materials. Represented Aquila in sales of gas and electric utility businesses in Colorado, Iowa, Kansas, Michigan, Minnesota, Missouri, Nebraska and West Virginia. Represented Algonquin Power and Liberty Utilities Co. in acquisitions of gas and electric utility businesses in Georgia, Illinois, Iowa, Massachusetts, Missouri and New Hampshire. Represented Aquila in purchase and sale of gas and electric utility businesses in Alberta, British Columbia, the U.K., Australia and New Zealand. Represented Black Hills Corp. in the 2016 sale of a 49.9% interest in a 200 MW gas-fired power plant in Pueblo, Colorado for $215 million, including joint venture and operating agreements. Represented Algonquin Power in 2014-2015 tax equity financing of 25 MW solar facility in California. Represented Black Hills Corp. in sales in 2009 and 2010 of partial ownership interests in three coal-fired power plants in Wyoming, including co-ownership agreements, plant operating agreements, coal supply agreements, power purchase agreements and energy management services agreements. Represented CorEnergy Infrastructure Trust in 2012 agreement to sell a 40% interest in 216-mile transmission line in New Mexico. Represented Black Hills Corp. in 2013 agreement to sell natural gas-fired power plant in Wyoming. Represented Algonquin Power in $888 million multi-stage acquisition, joint venture, and tax equity financing of wind power facilities totaling 480 MW in Illinois, Iowa, Pennsylvania, and Texas. Represented NV Energy in 2013 project with Apple Inc. to co-develop a 20 MW solar facility in Nevada. Represented Aquila in stalking horse bid to acquire 580 MW gas-fired power plant in Missouri. Represented Aquila in sale of $300 million sale of portfolio of independent power projects. Represented Crestwood Equity Partners in the 2016 formation of a $2 billion, 50/50 joint venture for the ownership of Crestwood’s natural gas pipeline and storage businesses in New York and Pennsylvania, resulting in $1 million cash proceeds to Crestwood, including related O&M agreement. Represented CorEnergy Infrastructure Trust in the 2016 purchase of a subsea, midstream pipeline system and related onshore facilities in Louisiana for $245 million, including related leaseback transaction. Represented CorEnergy Infrastructure Trust in the 2014 purchase of MoGas Pipeline LLC, an interstate natural gas pipeline company, for $125 million. Represented CorEnergy Infrastructure Trust in joint venture agreement in connection with 2012 purchase of a liquids gathering system for $224 million. Represented CorEnergy Infrastructure Trust in 2014 purchase of crude oil terminal facility. Represented Inergy Midstream in 2013 joint venture agreement for the development and operation of a crude oil rail terminal in Wyoming, including storage and transloading facilities. Represented Aquila in sale of three intra-state and one interstate gas pipeline companies. Represented Inergy L.P. in its 2008 acquisition of a controlling interest in an 18 bcf depleted reservoir gas storage project then under development in Texas. Represented Aquila in sale of gas storage facility in Texas and gas storage development projects in Arizona and California. Represented Great Plains Energy in its 2016 Series A investment in Go Electric Inc., a green-tech startup company. Represented electric utility companies, merchant energy companies, project development companies, and manufacturing companies in large and small power purchase agreements (from coal, natural gas, solar and wind-powered resources). Represented Aquila in the $250 sale of merchant energy loan portfolio. Represented US BioEnergy Corp. in 2007 co-ownership and operating agreements for ethanol production facility. Represented Aquila in sale of its interest in the IntercontinentalExchange. Represented Aquila in complex settlement agreement to unwind hundreds of pending commercial contracts with post-bankruptcy Enron. Represented an ethanol production company in closing a large acquisition and tender offer transaction for a total deal value of approximately $750 million. Represented Novelis Inc. in the 2014 sale of its North American consumer foil business for $33.75 million, including related metal supply and scrap metal purchase agreements. Represented Novelis Inc. in the complex 2012 purchase of the minority interests in its Korean subsidiary for $350 million. Represented Novelis Inc. as lead international due diligence counsel in $6 billion sale of Novelis to Hindalco Industries Ltd. Represented Associated Wholesale Grocers in sale and purchase of grocery store chains and wholesale distribution centers in transactions valued at more than $250 million. Represented Aquila in 2006 sale of Everest telecommunications company for $85 million. Represented owners of Unite Private Networks, a fiber optic networks company, in sale of the company to Ridgemont Equity Partners in 2011. Represent Novelis Inc. in multiple amendments to complex co-ownership and operating agreements for large manufacturing facility in Kentucky. Represented client in the 2007 sale of four assisted-care facilities through a bankruptcy auction process. Represented national and international clients in major internal restructuring transactions, including initiatives to unwind subsidiaries or otherwise rationalize complex corporate structures. Represented national and international clients in developing form procurement and supply contracts, including related training materials. Represent Olin Corporation in long-term, multimillion-dollar chemical supply agreements opposite "name brand" counterparties. Represented Novelis Inc. in long-term, multimillion-dollar supply agreement opposite U.S. automobile manufacturer.